The Gifted Season 1 Episode 2: Here are the spoilers, air date, and promo video for the upcoming segment titled rX. The all-new Marvel superhero show debuted October 2, 2017, on Fox. The synopsis for the next week’s chapter is out and available. Let’s check out what it says. Caitlin and Eclipse team-up to try and help Blink. Blink used powers beyond her limit and it led her into a state of shock. She needs to be cured and saved. So, Caitlin and Eclipse will team up for a mission to find out a special serum that can help in her recovery. In the meantime, Reed will be forced to take some tough choices to help his family. Polaris will run into some trouble. In the promo, we can see that after Reed Strucker has been captured by Sentinel Services, he has formed an alliance with an imprisoned mutant, Polaris. Meanwhile, the federal Services are teaming-up with mutants to capture their own kind. The mutants fight after a long time to free Polaris from the prison as they know she is pregnant. 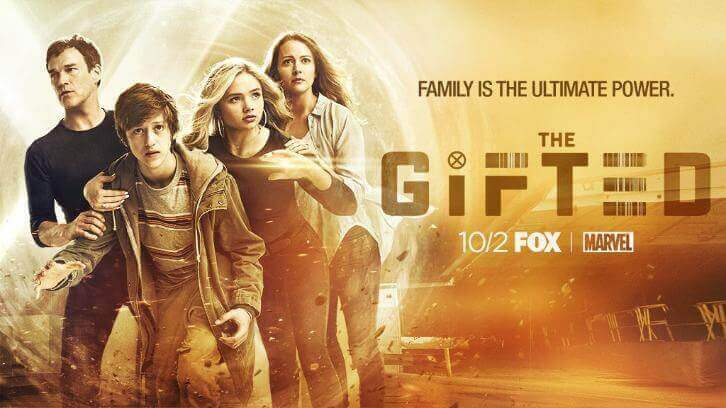 The Gifted season 1 episode 2 will release on October 9, 2017, Monday, at 9 pm ET on Fox. The trailer video has been released and added below. The article will be updated timely to reflect latest developments.